The seven books of the Abhidhamma Piṭaka, the third division of the Tipiṭaka, offer an extraordinarily detailed analysis of the basic natural principles that govern mental and physical processes. Whereas the Sutta and Vinaya Piṭakas lay out the practical aspects of the Buddhist path to Awakening, the Abhidhamma Piṭaka provides a theoretical framework to explain the causal underpinnings of that very path. In Abhidhamma philosophy the familiar psycho-physical universe (our world of "trees" and "rocks," "I" and "you") is distilled to its essence: an intricate web of impersonal phenomena and processes unfolding at an inconceivably rapid pace from moment to moment, according to precisely defined natural laws. According to tradition, the essence of the Abhidhamma was formulated by the Buddha during the fourth week after his Enlightenment. Seven years later he is said to have spent three consecutive months preaching it in its entirety in one of the deva realms, before an audience of thousands of devas (including his late mother, the former Queen Maya), each day briefly commuting back to the human realm to convey to Ven. Sariputta the essence of what he had just taught. Sariputta mastered the Abhidhamma and codified it into roughly its present form. Although parts of the Abhidhamma were recited at the earlier Buddhist Councils, it wasn't until the Third Council (ca. 250 BCE) that it became fixed into its present form as the third and final Pitaka of the canon. Despite its relatively late entrance into the Canon, the Abhidhamma stands as an essential pillar of classical Theravada Buddhist thought. Its significance does, however, vary considerably across regional and cultural boundaries. In Thai Buddhism, for example, the Abhidhamma (and, for that matter, many of the Commentaries as well) play a relatively minor role in Buddhist doctrine and practice. In Sri Lanka and Myanmar (Burma), however, they hold the same venerated status as the Vinaya and Sutta Pitakas themselves.  The modern Burmese approach to the teaching and practice of Satipatthana meditation, in particular, relies heavily on an Abhidhammic interpretation of meditative experience. Regardless of the Abhidhamma's position on the shelf of Buddhist canonical texts, the astonishing detail with which it methodically constructs a quasi-scientific model of mind (enough, by far, to make a modern systems theorist or cognitive scientist gasp in awe), insures its place in history as a monumental feat of intellectual genius. I. Dhammasangani ("Enumeration of Phenomena"). Buddhist Psychological Ethics, translated from the Pali by C.A.F. Rhys Davids (Oxford: Pali Text Society, 1900). II. Vibhanga ("The Book of Treatises"). This book continues the analysis of the Dhammasangani, here in the form of a catechism. The Book of Analysis, translated from the Pali by Ven. U Thittila (Oxford: Pali Text Society, 1969). III. Dhatukatha ("Discussion with Reference to the Elements"). A reiteration of the foregoing, in the form of questions and answers. Discourse on Elements, translated from the Pali by Ven. U Narada (Oxford: Pali Text Society, 1962). IV. Puggalapaññatti ("Description of Individuals"). Somewhat out of place in the Abhidhamma Pitaka, this book contains descriptions of a number of personality-types. A Designation of Human Types, translated from the Pali by B.C. Law (Oxford: Pali Text Society, 1922). V. Kathavatthu ("Points of Controversy"). Another odd inclusion in the Abhidhamma, this book contains questions and answers that were compiled by Moggaliputta Tissa in the 3rd century BCE, in order to help clarify points of controversy that existed between the various "Hinayana" schools of Buddhism at the time. Points of Controversy, translated from the Pali by S.Z. Aung and C.A.F. Rhys Davids (Oxford: Pali Text Society, 1915). VI. Yamaka ("The Book of Pairs"). This book is a logical analysis of many concepts presented in the earlier books. In the words of Mrs. Rhys Davids, an eminent 20th century Pali scholar, the ten chapters of the Yamaka amount to little more than "ten valleys of dry bones." VII. Patthana ("The Book of Relations"). This book, by far the longest single volume in the Tipitaka (over 6,000 pages in the Siamese edition), describes the 24 paccayas, or laws of conditionality, through which the dhammas interact. These laws, when applied in every possible permutation with the dhammas described in the Dhammasangani, give rise to all knowable experience. Conditional Relations (vol I), translated from the Pali by Ven. U Narada (Oxford: Pali Text Society, 1969). Part I of the Tika-patthana section of the Patthana. Conditional Relations (vol II), translated from the Pali by Ven. U Narada (Oxford: Pali Text Society, 1981). Part II of the Tika-patthana section of the Patthana. A Guide to Conditional Relations, translated from the Pali by Ven. U Narada (Oxford: Pali Text Society, 1978). An introduction and guide to the first 12 pages (!) of the Patthana. The Abhidhamma in Practice, by N.K.G. Mendis (Kandy: Buddhist Publication Society Wheel Publication 322, 1985). Buddhist Philosophy of Relations, by Ven. Ledi Sayadaw (Wheel publication No. 331; Kandy: Buddhist Publication Society, 1986). An excellent introduction to the Patthana, the most difficult of the Abhidhamma books, which explains each of the 24 conditional relations by which the dhammas interact. Comprehensive Manual of Abhidhamma, A: The Abhidhamma Sangaha of Acariya Anuruddha, Ven. Bhikkhu Bodhi, ed. (Kandy: Buddhist Publication Society, 1993). This book, an expanded treatment of Ven. Narada's classic A Manual of Abhidhamma (see below), should be required reading for every Abhidhamma student. It gives a remarkably lucid and insightful overview of Abhidhamma philosophy. Even if you read no further than the Introduction, your efforts will be well rewarded. Dhamma Theory, The: Philosophical Cornerstone of the Abhidhamma, by Y. Karunadasa (Wheel publication No. 412/413; Kandy: Buddhist Publication Society, 1996). The Dhamma Theory is the fundamental principle on which the entire Abhidhamma is based: that all empirical phenomena are made up of a number of elementary constituents — dhammas — the ultimate realities that lie behind manifest phenomena. This short book offers a good overview of the philosophical and analytical methods used in Abhidhamma. Guide Through the Abhidhamma Pitaka, by Ven. Nyanatiloka Mahathera (Kandy: Buddhist Publication Society, 1983). Manual of Abhidhamma, A: The Abhidhammattha Sangaha of Anuruddhacariya (fourth edition), translated from the Pali by Ven. Narada Maha Thera (Kuala Lumpur: Buddhist Missionary Society, 1979). Available online at BuddhaSasana. A classic work that provides an excellent introduction to the essentials of Abhidhamma study. Largely superseded by Bhikkhu Bodhi's expanded and more thoroughly annotated A Comprehensive Manual of Abhidhamma: The Abhidhamma Sangaha of Acariya Anuruddha (see above) but useful in its compactness. Psychology and Philosophy of Buddhism, The: An Introduction to the Abhidhamma, by Dr. W.F. Jayasuriya (Kuala Lumpur: Buddhist Missionary Society, 1988). 1. Handbook of Pali Literature, by Somapala Jayawardhana (Colombo: Karunaratne, 1994), p. 1. 2. From the Atthasalini, as described in Great Disciples of the Buddha, by Nyanaponika Thera and Hellmuth Hecker (Somerville: Wisdom Publications, 1997), pp. 45-46. 3. The Katthavatthu, composed during the Third Council, was the final addition to the Abhidhamma Pitaka. See Guide Through the Abdhidhamma Pitaka, by Nyanatiloka Mahathera (Kandy: Buddhist Publication Society, 1983), p xi.